The kindest, most thoughtful reply, was received from Ilana Tamir, Isra-Blog's manager. "I can tell you that, unfortunately, I came across that question quite often: what to do with the blog of a blogger who passed away? We don't have a strict policy because each case is different, but mainly we aim to respect the blogger's wishes: if the blogger closed their blog prior to their death (before taking their own life, for example), we will not reopen it, even if their family members will request it. On the other hand, If the family actually requests closing a blog, because of prying eyes or problematic content, we would most probably accept their wish. We sometimes give a relative the permissions to the blog, so they could post and inform about the blogger's passing". "I have never asked yet to provide official documents. I usually just speak to a person on the phone to make sure this is not a prank or a social-hacking attempt. I noticed that sometimes the blog becomes a place of correspondence. For instance, I saw a brother who sends comments in his sister's blog every couple of months, stating how much he misses her". The most succinct reply was given by Meirav, a costumer assistant in Smile 012: "according to our legal department, no access to the mailbox shall be provided without a court-issued warrant". Stating the relation between account owner and applicant. If the account owner was underage, one needs to add to the aforementioned documents a written agreement of both parents and/or two legal guardians to provide the password, along with copies of the parents or guardians identification cards. The vaguest answer was given by Shlomi, from the forum management team at Tapuz: "any person providing a concrete request in affairs such as this is welcome to contact the relevant people in Tapuz, and their request shall be looked into in a sensitive and thorough manner, as befits the circumstance". When I repeated my question regarding Tapuz's policy in the matter of a user's passing, I received the following answer from the forums' support team: "As a rule, we do not provide a password when there is no access to the mail from which the user initially signed up, therefore it is impossible to provide access to control a user's profile or their content. A person with access to the signup mail account does not need our permission and can recreate the password automatically. In absence of legal reason and/or a court-issued warrant, change of uploaded content and control over the content will be done as a rule by the owners of the access to the user's account". 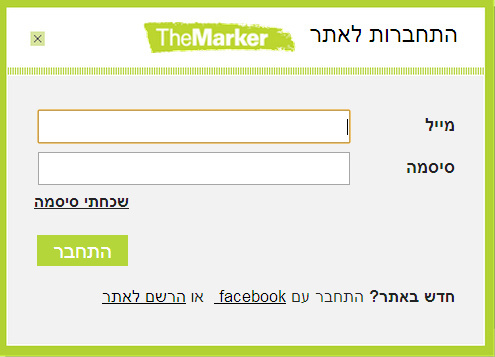 The sentence that surprised me the most was found in the reply given by Lior Papirblat, the social media editor of the "Ha'aretz" group: "Although 'Cafe TheMarker' exists five years, I am unaware of any requests from relatives of deceased users". "The rights of the uploaded content belong to the users. If the family is in posession of the username and password, they can log on to the profile unlimitedly" (the words were bold and underlined originally - V.) If they are not in posession of the username and password of the deceased user, our policy is to not give out personal information, including passwords, in order to protect our users. Unless there is a court-issued warning on the subject, to which we will comply, naturally". "As a matter of principle, the inheritors must organize all affairs of inheritance and legacy by law, and as much as the courts will perceive that indeed there is justification in handing over the deceased's personal information, as was kept on the website, we will of course honor any such decision given by the court". If you were approached by relatives of a user who posted in the Cafe, closed their profile and commited suicide, would you agree to re-post their content? 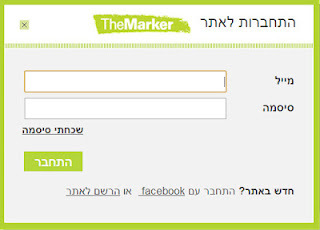 Lior: "Again, if the family has a username and password to the user's profile, they can log on, take it offline, return it online or leave it as is as they please. We would most probably not know about the user's passing until the family would contact us". If a deceased user's relatives would ask you to leave their posts untouched despite their passing, because they consider it a part of his legacy, would you agree to leave a profile untouched, despite knowing they are dead? Would you agree to post an announcement on the Cafe's behalf in the profile, at the family's request, noting the fact that they are no longer with us? "If the deceaded did not delete the content before their death, and the family wishes to keep it - we have no problem. If they removed content and the family requests to restore it - this is a more complex issue. But if they regulate the matters of legacy and inheritence in court, we could provide them with the username and password, and they could restore the content. Provided, of course, that the user did not delete those completely. We have no technical way to publish a death annoucement in someone's profile. The most we could do would be publishing it as a comment to the deceased's last post". If you were approached with the request to remove a user's content because they have passed, would you agree to close their profile and remove all their posted content, even if was not their request but rather their families, because they wouldn't wish this to be online? "Only if this was agreed upon in court"
A regulated policy on the subject was presented by service assistant Tanya-from-team-Adi ("we don't give out last names"): "When we are approached on the subject of a user's passing, one must provide a death certificate (which is the formal reference for us to give out information to a third party), an ID number, and the last four digits of the payment card (complete telephone customer identifying information). Afterwards, we can provide passwords to all 013 Netvision services to which the user was subscribed, including email and cloud storage. You must remember this is all possible if the subscription has not been cancelled by the subscriber prior to their death: If the customer closed their mail account, there is no way of recovering or pulling their data. As soon as the account closed, it is closed, end of story". "If the family wishes to keep the email account active, they must transfer the ownership on the account: the address stays unchaged, but it is transfered to the posession of the family members interested in maintaining it". Tanya: "In case of a private subscriber, one must provide the aforementioned information. In case of a business subscriber, only the owner of the business, or someone on behalf of the business (whom is already known and indentified in the Netvision system), may be given the information. One must provide a death certificate, the company identification number or the ID number with which the company joined the service and the last four digits of the payment card". This is interesting: seeing as many people send private correspondence from their office accounts as well, there may be an instance when private, personal correspondence may be exposed to the eyes of the business owner or workplace colleagues - which may cause unpleasantness even when there are no conflicts. In fraught situations, family members may find themselves "hostages" against business partners or bosses, who are the only ones with access to the mail, and they may delete mail that may be important to the family - personally or work-wise. The most surprising policy was presented by Hadar Fleischer, head of public inquiries in Bezeq Benleumi: "We receive more requests to cancel the Internet access subscription than requests for email access. To cancel a subscription, we need what is complete customer identification information: the deceased's ID number and last four digits of payment card. That is also all you need to get the password for the deceased's email account. To receive reimbursement for the Internet access subscription, we would require also a death certificate, and if we find that indeed there has been no Internet activity since the reported date of death, we will retroactively reimburse the payment from that date". 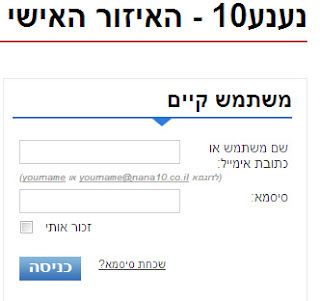 "If family members wish to cancel the Internet subscription but leave the email account active, that is possible: for no charge in the first six months, and from the seventh month for a fee of 9.90 Shekel per month. You can report the death either immediately or retroactively". On one hand, you can say that this shows lenience on Bezeq's side, in that it does not wish to burden the family with asking for a death certificate before beginning to look into the case. On the other hand, this is the minimal information to provide the company with in order to receive the password: the ID number and last four digits of the payment card. No need for documents proving familial relations or proof of death. And this minimal information is too minimal, in my eyes. Seeing that the Nana10 mail is based on Hotmail, I wasn't sure who is the policy maker as to the issue of the death of users - Hotmail or Nana10? 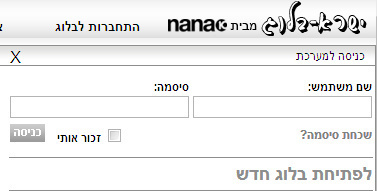 I asked both Nana10 and Microsoft Israel, and it turns out I'm not the only one who's unclear on the subject. According to the answer of Uri, the chat representative in Microsoft's customer service ("last name is immaterial"), Hotmail's global policy is applied to Hotmail Israel, and accordingly on the users of Nana10. It is possible that a user's relatives, who believe he has an "Israeli" email account, would be surprised to learn that he owns an "international" email account, and that they need to approach - in English - the company overseas. Uri forwarded me to an FAQ page on the subject in the International Microsoft's forums (in English) and said that if I have further questions, I am welcome to post them there. 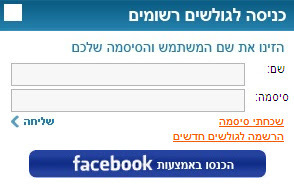 I was happy to see that this information was also available in Hebrew, in the Microsoft Israel discussion groups. On the one hand, the Hotmail policy (as I specify in the technical guide) is relatively user friendly and easy for the family of the deceased. On the other hand, I would expect that if I use an account with the suffix co.il, like Nana10 offers, I will have someone in Israel to guide me. Update, 5.8.12: Nimrod, public inquiries manager in Microsoft's customer support, came back to me ("no last name needed"). Microsoft do not know what their policy is when a Nana10 customer passes - he is looking into that and will get back to me with an answer in a few days. Update, 12.8.12: Ilana Tamir of Nana10, came back to me with an answer - nearly one month after my first contact with them on the subject (and after numerous mails). According to the email supervisor in Nana10, an inheritance order is needed in order to receive access to the email. In other words, one must turn to an Israeli court, rather than the international Hotmail. I wonder if Microsoft are aware of that. Update, 21.8.12: Nimrod, public inquiries manager in Microsoft's customer support, called me back with a formal answer, as promised: Microsoft has nothing to do with it. Service, support etc. in case of death of a client are provided solely by nana10. Since it took Microsoft longer than two weeks to get back to me with their official answer, I can't help but assume they didn't have this answer at hand, not to say that they didn't have an answer at all. Since it took nana10 four weeks to get back to me with a formal answer, I can't help but assume that their the policy wasn't clear to them either. In May 2013 I asked Internet Rimon, used primarily by religious Jews, what is their policy (it's not published online either). The initial short, laconic answer was received from Nofit Harevi, in charge of Public Inquiries: "Each case is looked into by Internet Rimon's attorney". When I kept asking for more details, I was told "Each inquiry reaching our call center was looked into and each case was checked separately. The family can contact our call center by phone and explain the circumstances, our representative will personally take care of it and forward it to the relevant people".